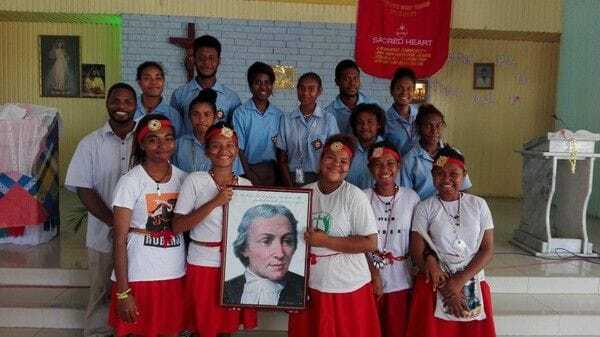 The De La Salle Brothers first arrived in PNG in 1946 establishing their first community and primary school at Bomana, on the outskirts of Port Moresby. In 1947, the school was moved to Yule Island. De La Salle Secondary School Bomana was established as a boys' boarding school when the Brothers returned to Bomana in 1964, and it is one of the oldest schools in the country. 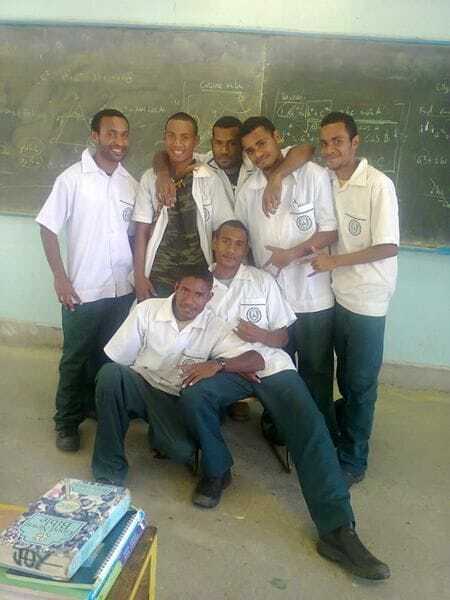 It became a boys' day school in 2009. 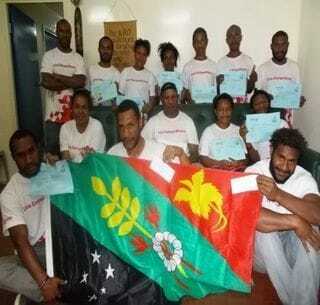 Free education in PNG was introduced in 2013 which has substantially increased enrolments. Prior to free education due to limited space, schools had a stringent selection process for selecting students to continue from Year 9 and each subsequent grade, forcing approximately 50% of students out of school. So the change of education policy is welcome, however the schools have not received additional Government funding support to expand or improve their infrastructure leading to overcrowding in many classes (up to 55 students). There are now just under 1000 students attending DLS Bomana including a number of students in their early 20's who dropped out of school when they were younger. The free education policy has given these young men another opportunity to complete their high school education. Most of the students live in poor, nearby settlement communities which have no access to basic amenities such as electricity and running water. Many come from broken families and difficult circumstances. Over the years, the school has been working to improve student behaviour and morale. Their efforts have resulted in an increasing number of graduates continuing onto university and college courses. Due to age of the buildings, renovations or upgrading of the school infrastructure is a key priority for the school. Since 2009, improvements in infrastructure have slowly been made as funds have become available. 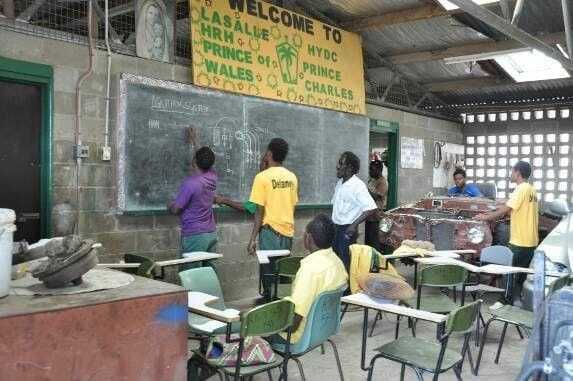 Like all Lasallian schools in PNG, there is a critical need for teacher housing to enable Bomana to employ and retain quality teaching and support staff. Over the years, this has been another key challenge for Bomana due to limited funds. The school's Principal is Mr James Ume. 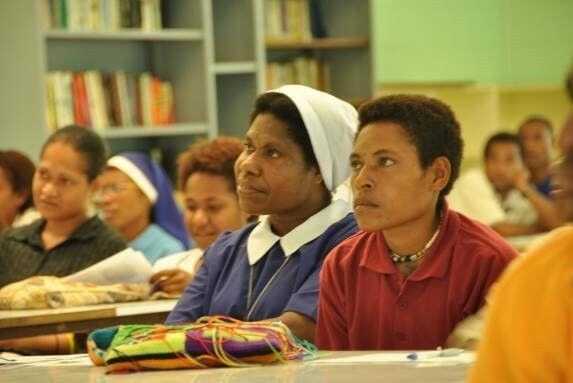 Sacred Heart Teachers College (SHTC) which opened in 2010, is a Catholic Agency Teachers' College established to help improve Papua New Guinea's ability to respond to the need for Primary Education for all (Millennium Development Goal 2). 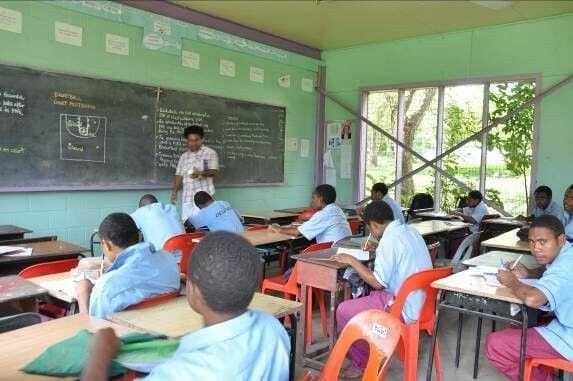 One of the major impediments to PNG achieving this target is the deployment of teachers into remote areas. SHTC aims to support the National Education Plan to give more children the opportunity to complete Grade 8 by recruiting Grade 12 graduate students, with Village experience, who will staff the remote schools. SHTC student applicants must have finished Year 12 at least two years. 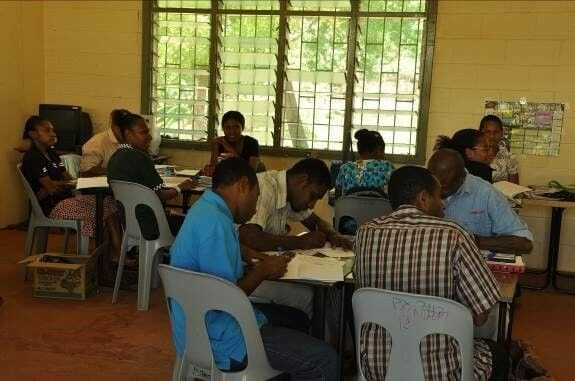 SHTC targets students from remote parts of the country, in particular those from the southern region. Many of these students are too poor to attend other primary teacher courses and the southern region has the lowest indicators for students. The intake has been equally divided between men and women (emphasis on gender equality) for this three-year course. Over the years SHTC has received funding support from the European Union, which covers the transport cost (road and boat) for students to enable them to attend SHTC. As part of the funding agreement, the students must pledge to work in a remote area school for a minimum of two years after graduating from SHTC. The graduates return to their home village, which generally has a school that has not been operational due to a lack of qualified staff, or a very small school operating with very limited resources, e.g. one teacher. The student teachers are very dedicated with many leaving young children and family behind, knowing that they will not see them until the end of the academic year. Returning home during holidays is not possible due to distance, poor transport infrastructure and the cost of travel. To achieve quality education in remote schools the College will focus on better use of available local resources as well as using the emerging technologies as they become available. The College will continue to lobby for the improved resourcing and support of remote teachers and schools. 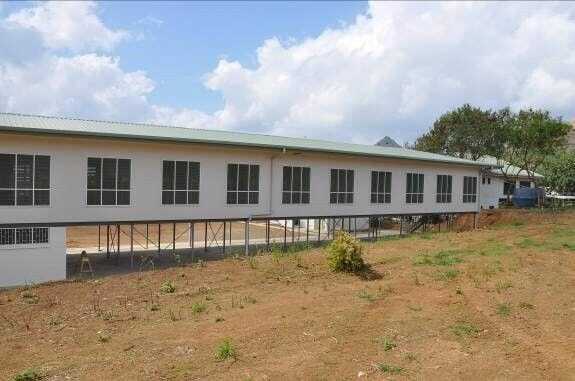 Over recent years, new dormitories and bathroom facilties, funded by the PNG Incentive Fund, have been constructed so SHTC can now accommodate more students. However this has placed pressure on existing classroom and resources infrastructure. Key challenges for SHTC include providing adequate primary teaching resources and equipment; basic communications with and support of graduates when they complete their course; and the ongoing professional development of SHTC staff and graduates. The Principal of the college is Mrs Theckla Aknonera. 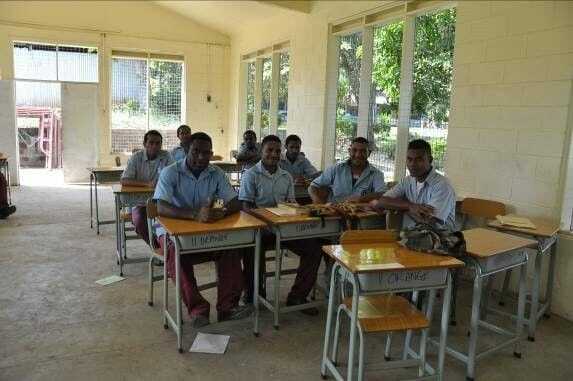 The Kondiu Rosary Secondary School is located in the Simbu Province in the remote PNG Highlands. The school has a strong academic focus, offering courses such as physics, chemistry, history and economics to upper secondary students. Junior secondary students are able to pursue courses in core subject areas, such as English and Science with additional study in Religion, Arts and the Social Sciences. The school's Principal is Mr Arnold Magendu. Hohola Youth Development Centre (HYDC) was established in 1973 by the Brigidine Sisters. In 1993, the Sisters invited the De La Salle Brothers to take over the management of the centre. It was renamed La Salle Technical College in 2016. LSTC provides a four-year co-educational program for over 570 students aged 14 to 20. Students have all dropped out of the traditional school system due to poor results, poor behaviour or related issues. LSTC offers these teenagers a second chance to complete their high school education and also to gain practical, employable skills. 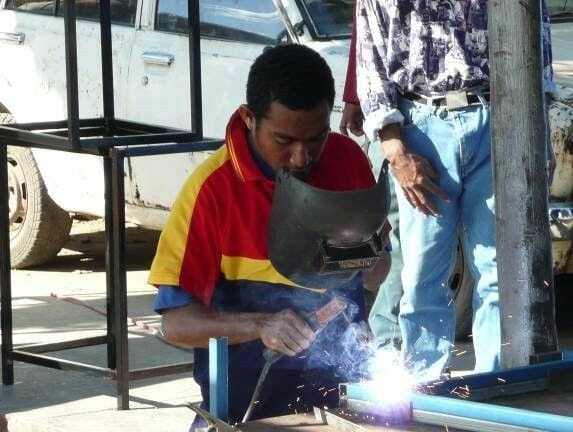 LSTC entry requirements are based on the results of a basic English test, and the College has one of the lowest school fees for a vocational training centre in Port Moresby. 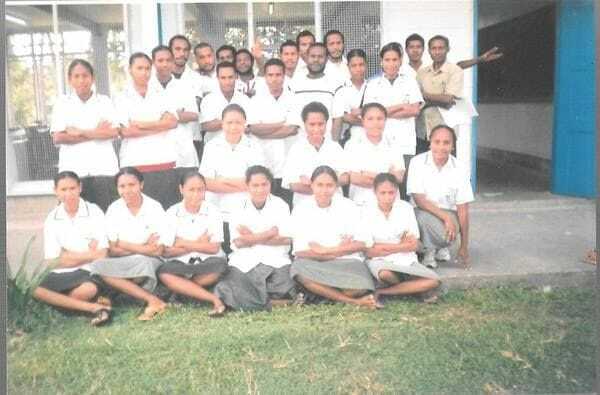 The students enrolled at LSTC come primarily from the Port Moresby region, but about a third come from towns and villages outside Port Moresby, and the students stay with relatives in the city. Students travel from as far as Brown River (about 25 km away) and unfortunately many cannot afford the daily bus fare to and from school. Many students arrive without breakfast. Many do not have lunch and most do not eat at night. To cater for these students and to improve students study capability and behaviour, LSTC has negotiated with various suppliers to provide food stuffs cheaply. This enables LSTC to continue to operate its successful Breakfast Club program. About 140 students attend this early morning program run by student volunteers. The canteen sells items like scones for 30 toea (14 cents), which are baked by the LSTC hospitality students to help cater for these poorer students. LSTC's curriculum aims to provide a broad based education as well as more specific vocational training. As LSTC is not a Government-registered school, it uses the FODE (Flexible, Open and Distance Education) curriculum. The students are also taught a range of vocational skills, secretarial studies, hospitality and tourism, carpentry, automotive mechanics, welding and metalwork. Work experience is a key part of senior studies with local firms providing places for students. The graduates from LSTC have an employment rate of over 80%. Despite the need to pay for their education at LSTC, it is the preferred secondary school for many parents due to the consistently good results achieved, skills gained and the values that the College teaches and encourages. The school has a waiting list of over 150 applicants. College policy aims to have a gender equal student population with 50% girls and 50% boys from all faith backgrounds. 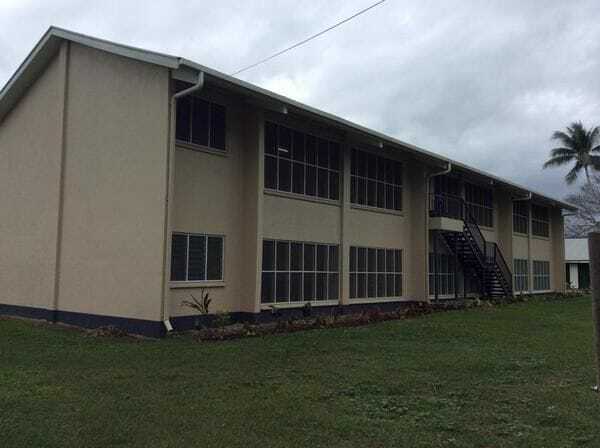 Over recent years, teaching quality has improved as has College infrastructure and facilities due to the support of the PNG Incentive Fund which has rebuilt and upgraded the trades area, administration, sports hall and classroom blocks. An ongoing need for LSTC is teacher housing. The Lasallian Teachers Village is being constructed to respond to this. Providing good housing will support the LSTC to employ and retain quality teaching and support staff. The school's Principal is Br Antony Swamy. 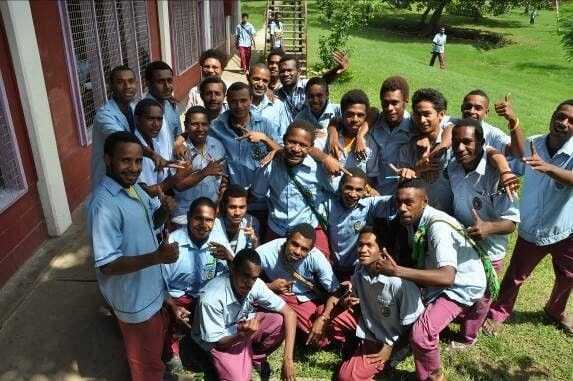 Jubilee Catholic Secondary School, one of PNG's best schools, consistently ranked in the top 5 per cent in the rating index of the Higher School Certificate national examination report, is a co-educational secondary school. 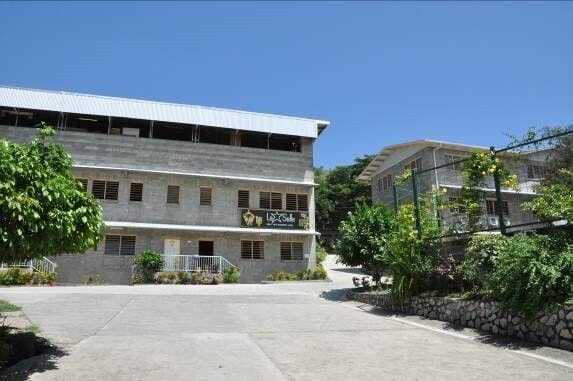 Jubilee Catholic Secondary School was established in 2001 when the Marianville School, a girls' school and the De La Salle School, a boys' school, were combined to create a single secondary school. The school is housed in the old St Theresa's Hospital, on the first floor of the Diocesan-owned two storey old building, with the Diocese clinic on the ground floor. 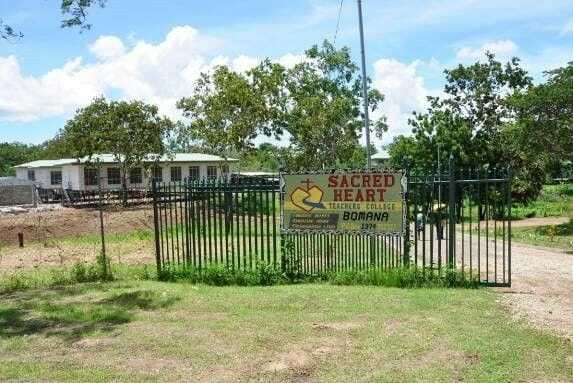 The school was originally intended to be a co-educational Grade 11 and 12 secondary school that would enrol students from Bomana and Marianville after they completed Grade 10. 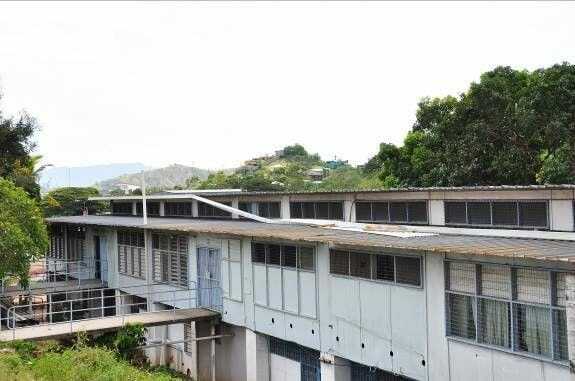 Shortly after Jubilee Catholic Secondary School was opened, the Department of Education and the Archdiocese of Port Moresby decided that Marianville and De La Salle would be permitted to offer education through to Grade 12. 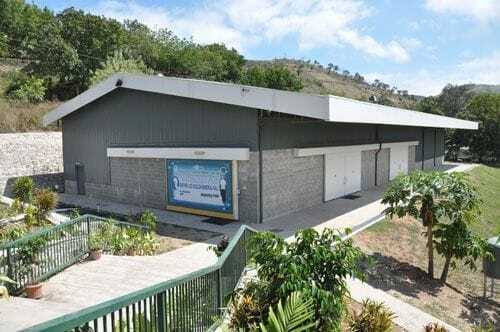 This decision was made in response to the high demand for places in senior classes in the Port Moresby area. This led to Jubilee extending to offer Grade 9 and 10 classes. Due to consistently good results and a strong history of graduates continuing onto tertiary studies, the school has a strong enrolment. Jubilee's challenges include maintenance and upgrading of buildings, and providing teacher housing to help the school employ and retain quality teaching staff. So far, six teacher houses have been constructed for Jubilee staff, and Jubilee are part of the wider Lasallian Teachers Village project. 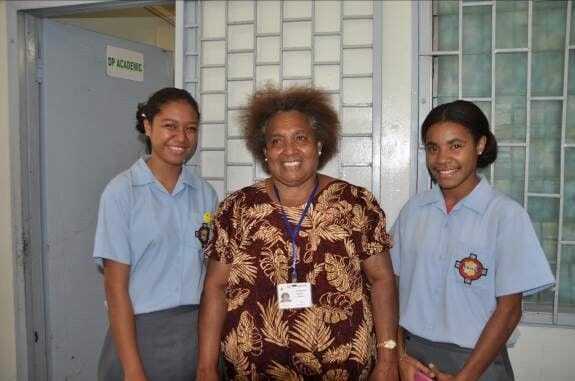 The school's Principal is Mrs Bernadette Ove. 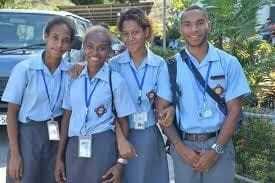 Mainohana is a remote, boarding, co-educational secondary school about three hours outside of Port Moresby. Many students travel several days via foot, boat and road to arrive at the school at the beginning of term. The school also caters to a small group of local primary students. Aside from academic subjects, the school is increasing its focus on a skills-based curriculum in areas such as agriculture. As many of the students come from a rural, subsistence living background, learning agriculture skills will offer them skills beneficial not only for their families but for their entire community. Trades skills and hospitality are other areas of practical learning. The school's goal is to develop into a full Technical Secondary School. The local Diocese took over management of the Mainohana at the beginning of 2014. The school's Principal is Mr Michael Meauri. 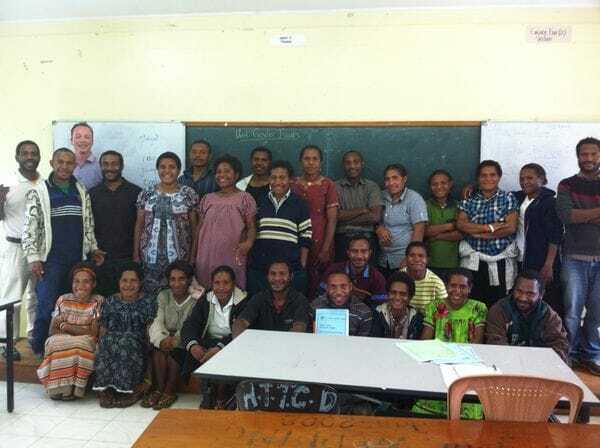 Holy Trinity Teachers College is a teacher training institute for primary schools in remote areas of Papua New Guinea. 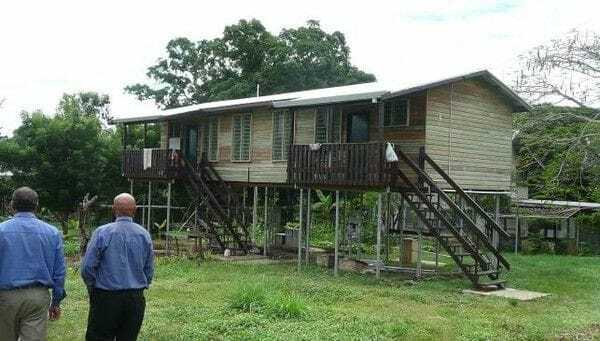 It is located five kilometres away from the city of Mount Hagen and has a demonstration school linked to it which often recruits graduates from the teachers college. There are over 30 teaching staff at Holy Trinity Teachers College and a student population of around 600. The college offers a two year diploma program for prospective primary school teachers. The Principal of Holy Trinity Teachers College is Mr John Onguglo and the Principal of the Holy Trinity Demonstration Primary School is Ms Pauline Malau.